In Taiwan, there are many forests in the mountains. In these forests, you can find Taiwanese Formosan Reeve’s Muntjac, Taiwan Black bears, monkeys, etc. Some examples of Forests are the Taipingshan, Jade Mountain, and Hehuanshan. Taiwan is a country that produces organic and delicious rice. In 2013, Taiwan harvested more than 1.5 million tons of rice that valued 36.9 billion. Since rice is the most valuable cash crop, it must be planted a lot throughout the country. It is planted on what is called “paddy fields” which are large pieces of land that have “nutritious mud” and water, allowing plants to grow. There are so many paddy fields over Taiwan – some are even on mountains! black sand, coral reef, and rock. The ones on the west of Taiwan are sand beaches while the ones on the east are rock beaches. 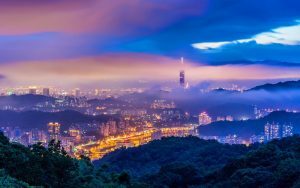 Interestingly, there is only one county in Taiwan that is not bordering the ocean – Nantou. 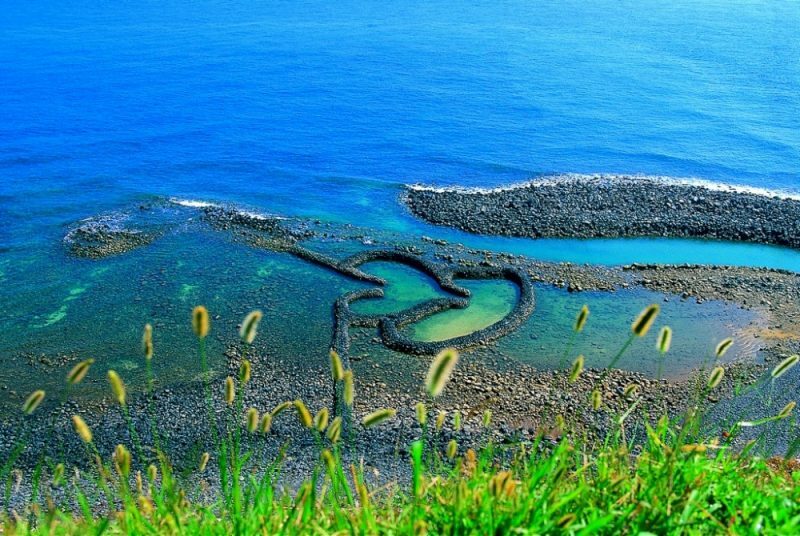 Additionally, there are some more famous specific ones, like Kenting (the south of Taiwan) and Wai-ou (Yilan). On these famous beaches, you can surf. 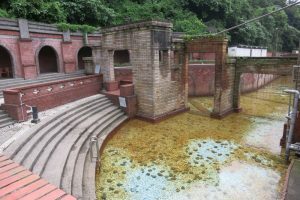 Taiwan that has to do with water – hot and cold springs! These springs can be separated into two categories: manmade and naturally formed. One place famous for hot springs is Jiaoxi while Su-au is well-known for their cold springs. Hot springs are formed because of geothermal heat from underneath the surface of the earth. 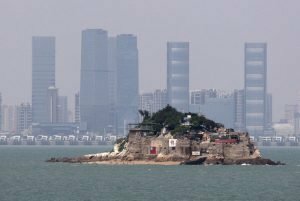 Taiwan also has some smaller islands around it. Some islands are Penghu, Maju, Jingmen, Green Island, and Orchid Island (or Lanyu.) Some of these are formed because of magma erupting from the ocean floor. Penghu has special rock formations that look like columns made of rock. 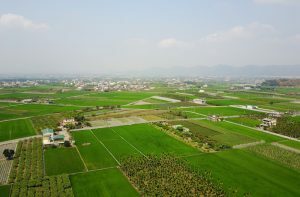 Jingmen is where cotton and other crops are planted. Green Island is small, but known for its beautiful view when scuba diving. Orchid Island has docks and is well-known for its flying fish. Some other interesting geographical facts about Taiwan is that Taipei is a basin and Kaohsiung is a plain. Furthermore, the tropic of cancer passes through Taiwan.